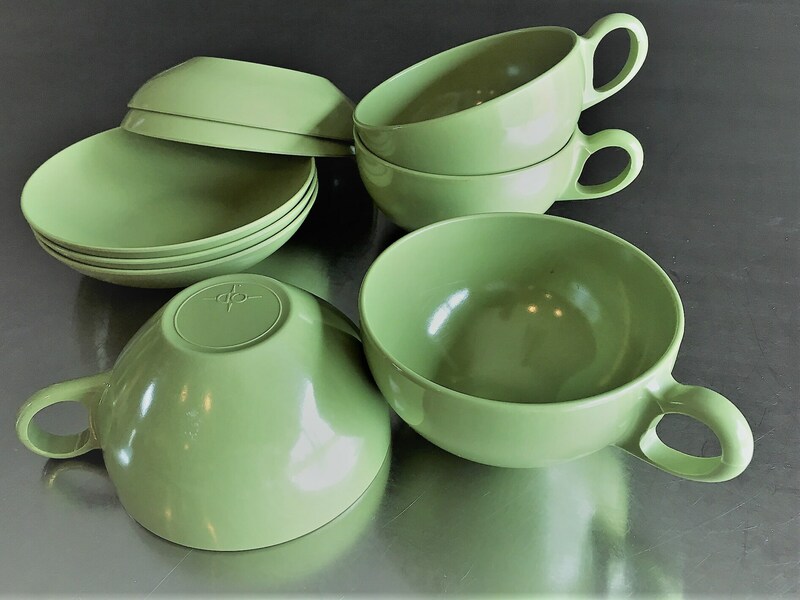 Featured here is a super 9 piece set of Oneida Deluxe Melamine Melmac. 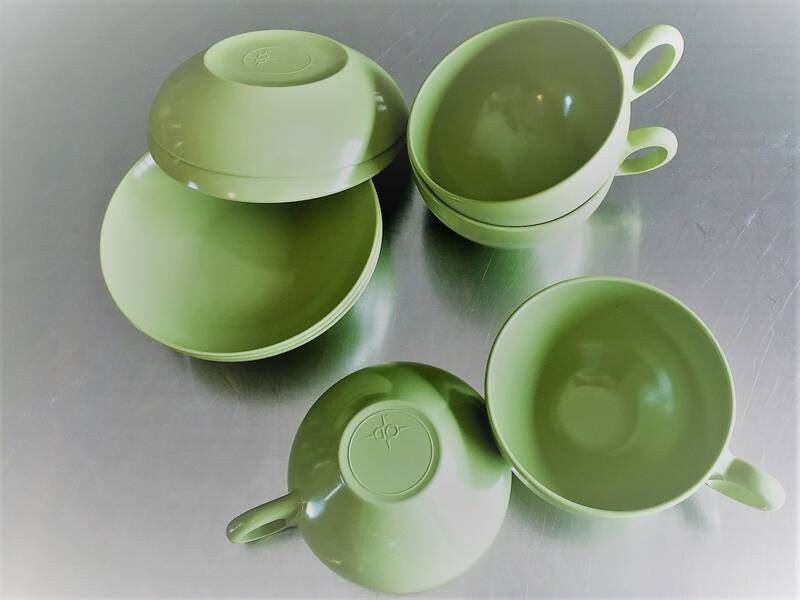 The set includes 4 cups and 5 small bowls in the classic Avocado Sage Green. The cups are 2 inches tall and 3 1/2 inches in diameter. 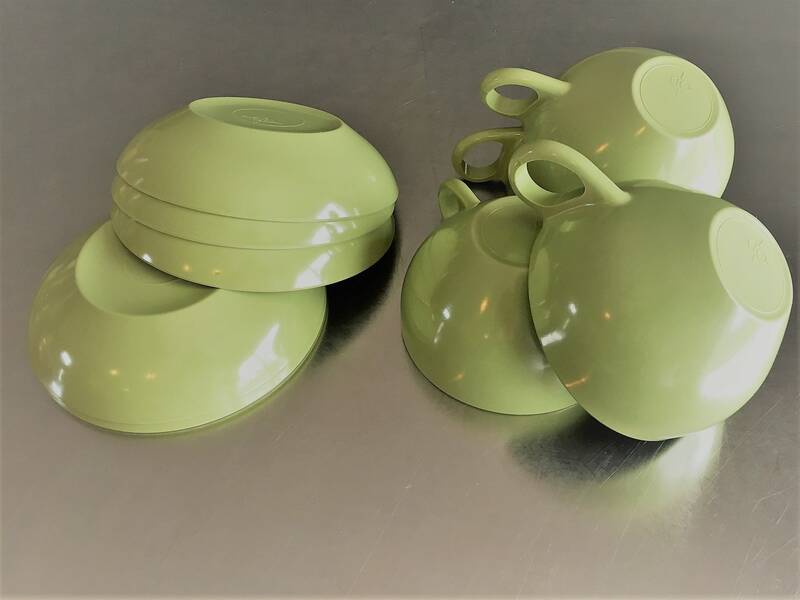 The small bowls are 1 inch deep and 4 3/4 inches in diameter. The bottom of each piece is stamped with the OD logo. 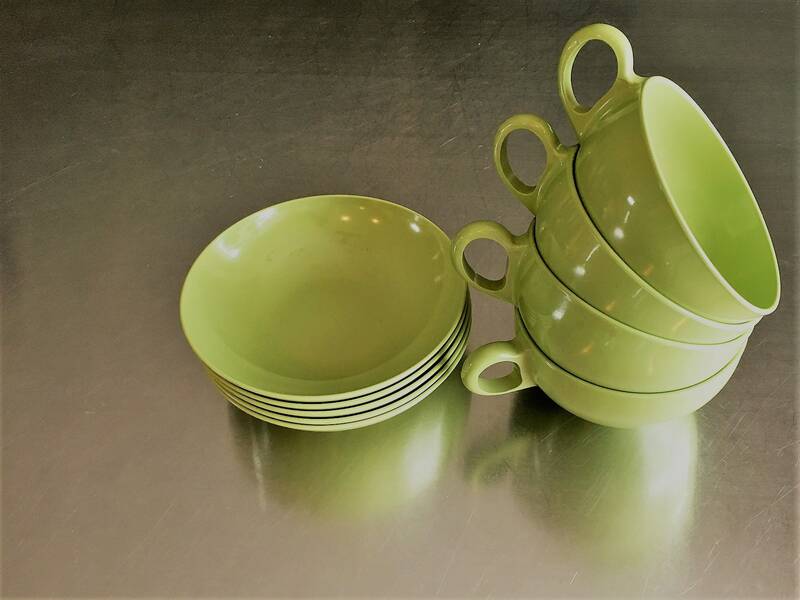 All 9 pieces for one low price.